ATM’s and Point-of-bank’s (POB) are a convenience for your customers. Having an ATM or POB available makes it easier for your customers to do business with you. Our ATM and POB solutions make it easier for you as well. How often have you heard, “Do you have an ATM?” chances are more than once or twice. If that’s the case you are missing out on an opportunity and losing customers. A study done by 7-Eleven and Convenience Store Decisions Magazine showed that 20% or more of the money withdrawn from an ATM is spent at the location. 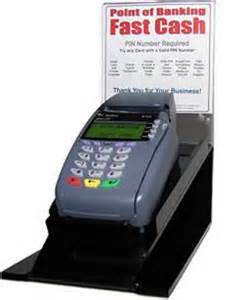 People want convenience and an ATM or POB at your place of businesses is a convenience for them. One of the most effective ways to increase customer traffic and enhance their sales experience is to have an ATM or POB. 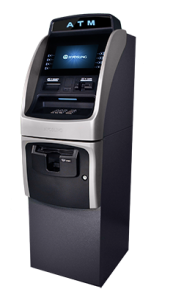 Whether you are looking to purchase or lease to own an ATM so you receive 100% of the surcharge, or prefer we provide the machine and/or fund it for a portion of the profits we can help. ATM’s and POB’s don’t cost you money, they make you money and at a time when banks are eliminating off site ATM’s and charging exorbitant transaction fees to nonbanking customers an ATM or POB at your business not only provides an additional source of income each month but also keeps customers stopping by and spending money. EFTS has a wide selection of ATM’s to meet the needs of every business and can help you determine if an ATM or POB is the best option for you. If you are not sure that purchasing an ATM is the right choice for you today. No problem, call us, we can help with that decision and often place and support ATM’s until the choice to purchase one yourself is obvious. But even if you never own one it does not mean that every time someone stops in to use it that you are not benefitting too. Call or request more information today.